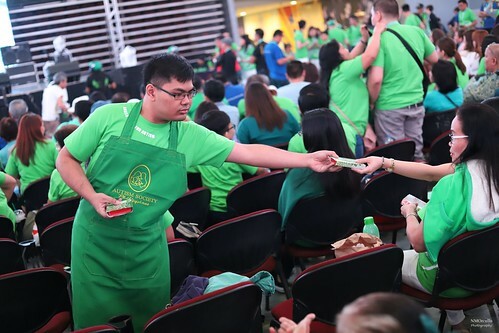 The Autism Society Philippines (ASP), together with SM Cares, the Corporate Social Responsibility arm of SM Prime Holdings, held the annual Angels Walk for Autism on March 3, at the Mall of Asia Arena. Since it began in 2007, the walk continues to advocate for acceptance, accommodation and appreciation of Filipinos with autism towards an Autism-OK Philippines. 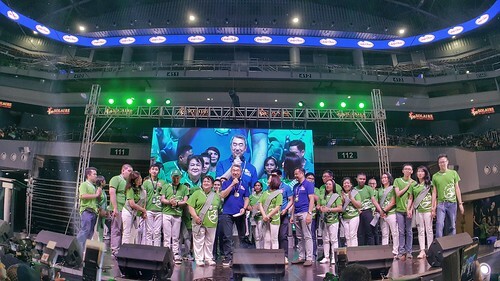 24,000 participants registered for Angels Walk for Autism 2019. 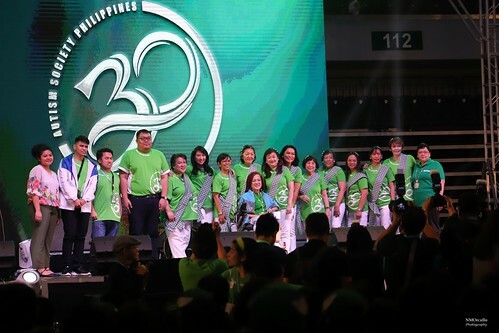 Over 24,000 participants -- families, professionals, supporters from the government and private sectors, from the Philippines and overseas -- joined the annual walk from the MOA Arena to the SM MOA Music Hall. 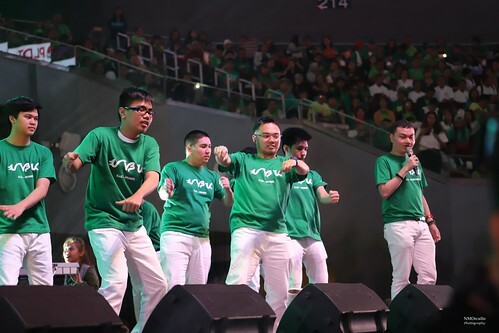 The walk was supported by the MOA Arena, SM Mall of Asia, National Council of Disability Affairs, Association of Southeast Asian Nations, Asia-Pacific Development Center on Disability, and the ASEAN Autism Network. This year’s Angels Walk for Autism celebrated our country’s legacy of strong leaders that have brought the autism advocacy forward -- for the last 30 years, across 97 chapters, with 13,000 members -- and have become the foundation on which the next generation of leaders will build the future. Here's a montage of photos of participants, some at the venue as early as 5:30 in the morning, getting ready to enjoy the day: http://bit.ly/2GfF1FN. This year's pre-walk program elevated the role of persons with autism in our evolving advocacy. 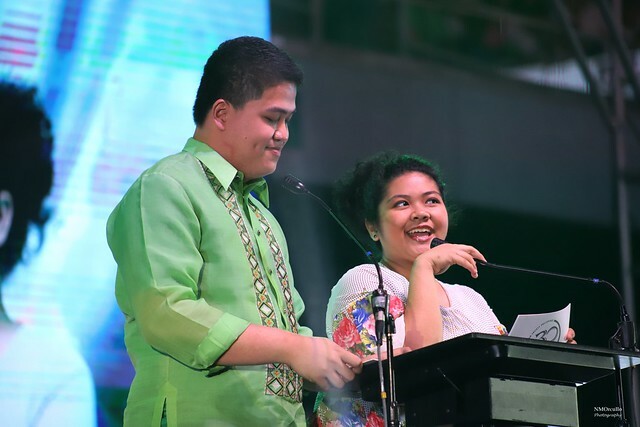 This was most prominent with the introduction of our first ever neuro-diverse co-hosts: Mr. Rhav Lomboy, a musician-athlete, working at COMELEC, and Ms. Pia Cabanero, a high school senior. PWAs Rhav and Pia were amazing co-hosts! ASEAN community has embraced inclusion for people with autism and other special needs." 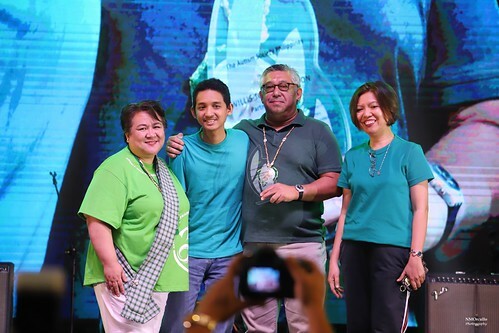 The program included the presentation of the annual ASP Autism Angel Achievement Awards to Samantha Pia Cabanero (for Advocacy), Eduardo Enrique Munarriz (for Athletics), and Carlo Gregorio Veluz (for Visual Arts). The new ASP Board of Trustees, composed of parent advocates; and the first set of officers of the ASP Self-Advocates Circle, composed of adults with autism, were inducted with the help of DSWD Undersecretary Florita Villar and NCDA Executive Director Carmen Zubiaga. 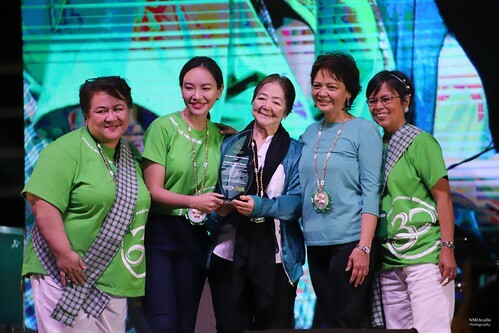 The Autism Society Philippines grew to 13,000 members in 97 chapters from the seed planted by our 11 founding mothers: Marinette Aglipay, Emma Cruz, Yolanda De Guzman, Asteria Fernandez, Jean Gonzales, Fatima Kho, Ma. Amelia Lachica, Elizabeth Peralejo, Conchita Ragragio, Cecilia Sicam and Noida Tan. Executives from high-performance organizations honored ASP by gracing our pre-walk program with their presence: Ms. Emmeline Aglipay (Undersecretary, Department of Justice), Mr. Tom Villarin (Congressman, AKBAYAN), Mr. Hans Sy (Chairman, SM Prime Holdings Executive Committee), Mr. Steven Tan (Chief Operating Officer, SM Supermalls), Mr. Bien Mateo (Senior Vice President, SM Supermalls), Mr. Ed Las (Chairman, Sogo Hotels), Ms. Emma Sarne (Director, UN and International Associations and Organizations, Department of Foreign Affairs). ASP awarded key contributors to inclusive employment the Autism Works Partners of the Year honors. The ASP's Autism Works economic empowerment initiative continues to grow with the financial and technical support of the Telus Philippines Foundation and Henkel Philippines. 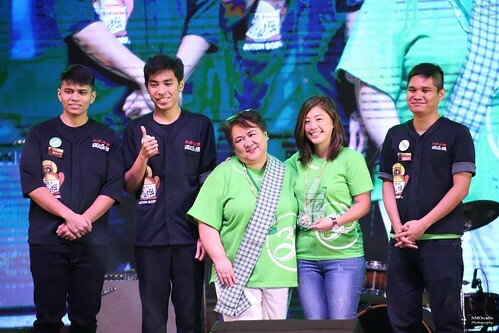 Dohtonbori Philippines, a Japanese casual dining pioneer, represented by Ms. Kim Cruz, President, has consistently trained and hired young adults on the autism spectrum over the last three years. Willis Towers Watson, a global leader in risk management and consultancy, aside from creating productive opportunities for jobseekers with autism, has held the widely successful Workability Inclusion Summit which enables other knowledge companies with the information and the inspiration to build their own disability-inclusive work environments. 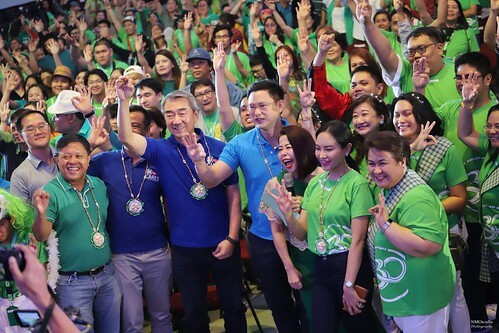 Other companies like Accenture, IBM Philippines, Sogo Hotels, Teleperformance, among others, sent delegations to the Angels Walk in celebration to their commitment to diversity. Some VIP guests were treated to special chocolate confections from ASP's Project Chocolat-A, a sheltered workshop teaching young adults on the spectrum the art of chocolate making. PWA Dreau shares chocolate confections with guests. Hans T. Sy was honored as the inaugural recipient of the ASP’s Leadership Award for Autism Inclusion and Welfare. 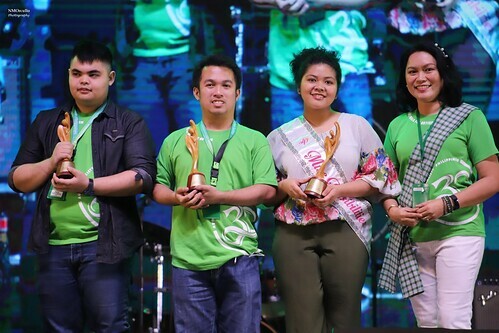 It is the society’s highest recognition, celebrating exemplary leadership that has significant and positive impact on advancing ASP’s vision of acceptance, accommodation and appreciation of persons with autism in an Autism-OK Philippines. Beyond awareness, Mr. Sy’s leadership has inspired tangible, measurable action through the accomplishments of SM Cares. and Welfare with the autism community. 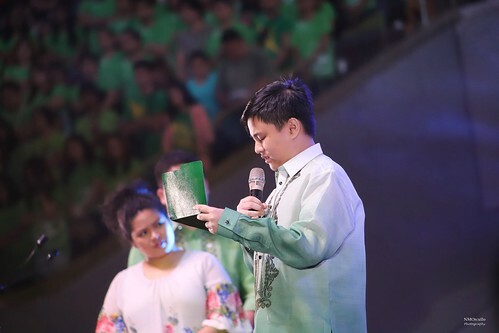 Aspiring pastor and PWA Josiah Quirino led the arena in prayer. 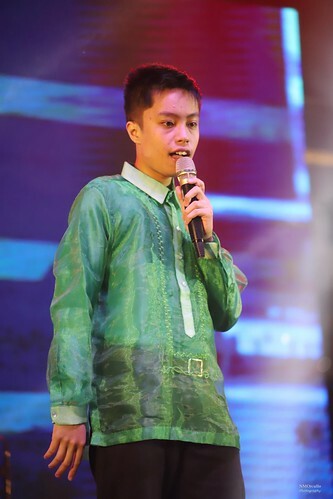 PWA Emman sang "Nasa Yo na ang Lahat". 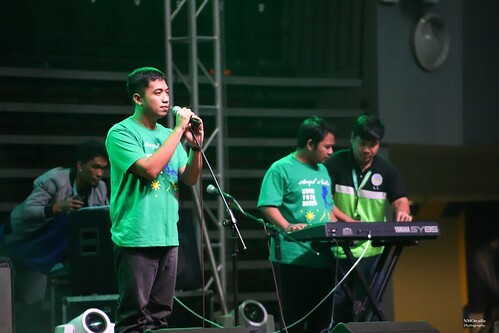 The Valenzuela SPED Band sang "Narda". ILLC Hunks and Heartthrobs played, sang, danced a catchy OPM medley. 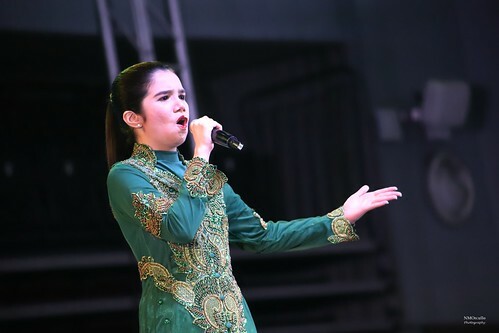 Angels Walk veteran PWA Danica Escasinas brought the house down with "Buwan". PWA Thara Marie Santiago belts out an OPM favorite. Here are more images from this year's pre-walk programme: http://bit.ly/2GebTij. The Angels Walk for Autism walk proper kicked off to the sound of drums and cheers. 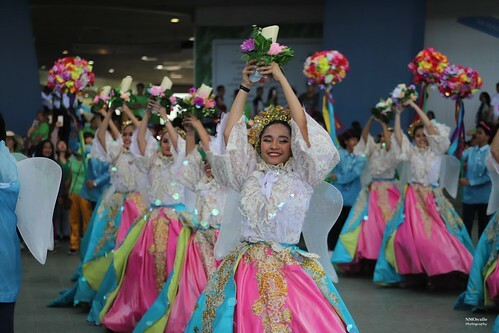 The bright, hot sun did not deter delegations from schools, companies and families to carry their colors, banners and gimmicks towards the finish line at the SM MOA Music Hall. The Angels Walk for Autism 2019 lead banner. The tail end of the parade was treated to joyful, traditional dancing from ASP Antipolo and MTD. Here are more images from Angels Walk for Autism 2019: http://bit.ly/2Gdfg9c. We pray that the event inspired a positive sense of community among the movers working towards an Autism-OK Philippines!